Russia plans to invest $2 billion in Argentinian nuclear power plants, and Russia's Gazprom has signed a deal to explore oil and gas fields in Argentina, a project worth another $1 billion. Argentinian President Cristina de Kirchner and Russian President Vladimir Putin announced a renewed energy pact at a news conference in Moscow on Thursday. Russia’s state nuclear energy company, Rosatom, said it will provide funds to build a sixth reactor at the Atucha nuclear power plant in Buenos Aires province. 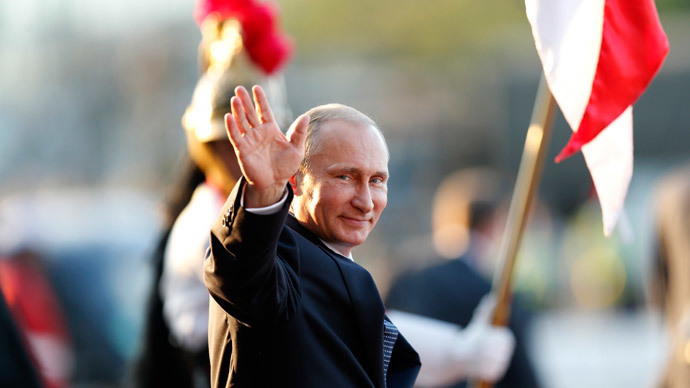 "The amount of Russian investment is about $1.9 billion,” Putin said. Russia’s Inter RAO Group signed a letter of intent for the construction of the Chihuido-1 hydroelectric power plant on the Neuquen River – a project worth $2 billion. Russia’s VEB bank will provide $1.2 billion of the needed investment, Sputnik reported. The power station will have a capacity of 637 megawatts. The company also expressed its interest in building the Chihuido-2 plant with a 296 megawatt capacity. President de Kirchner signed a nuclear power deal in July 2014 when President Putin visited Argentina before the BRICS summit in Brazil. The high-level talks were not only fruitful in hydroelectric power, but also in gas. “Gazprom is preparing a master plan to develop the Argentine gas industry, and is considering the possibility of setting up a joint venture to develop hydrocarbon deposits in Argentina,” the Russian president said. Russia’s largest gas producer Gazprom signed a memorandum of cooperation with Argentinian energy company YPF to explore the Vaca Muerta oil and gas fields in southern Argentina. According to the Argentine Ministry of Industry, the project could cost $1 billion. It’s estimated to be one of the largest shale reserves in the Western hemisphere. If the fields are properly developed they have the potential to double Argentina’s energy output within 10 years, Reuters reported Wednesday. At present, more than 20 percent of Argentina’s energy is produced with Russian technology and equipment. The two heads of state signed over 20 documents and established an "all-encompassing strategic partnership" across sectors such as agriculture, trade, and military cooperation, as well as memorandums to boost environmental protection and fight drug trafficking. 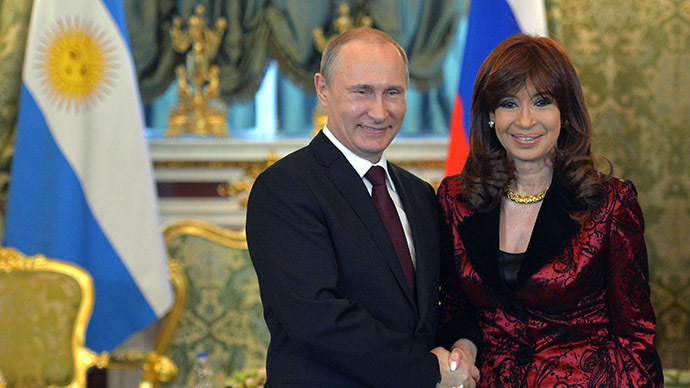 At the talks Putin assured de Kirchner that her country has Russia’s support in its territorial dispute with Great Britain over the Malvinas (Falkland) Islands. The Russian President also urged for the work on a GLONASS station in Argentina to be sped up. Putin said that the Russian heavy machinery company Uralmash, "plans to set up a joint venture with Argentine partners to produce oil equipment in Argentina." Another major deal relates to transport: Russia will supply 40 trolleybuses to Argentina in June.